Fastest selling areas at the end of December? Yes, it happens today, even at the end of December and as we approach what is historically the slowest home-selling month of the year, January. No doubt the low inventory of homes for sale is playing a part in this as well as, perhaps, the recent uptick in interest rates and threat of higher rates in 2017 may be encouraging home buyers to speed up their home search. As the table below shows, Fenton is at the top of the list with homes selling there in an average of just 20 days on the market! Next on the list is Crestwood, with an average time to sell of 42 days. 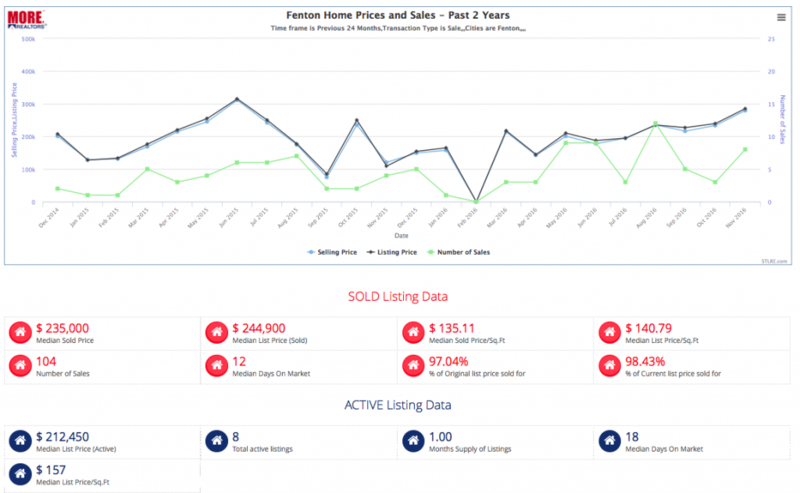 Below the list of fastest selling neighborhoods is a chart showing home sales and prices for Fenton for the past 2 years to allow us to take a little closer look at this market. 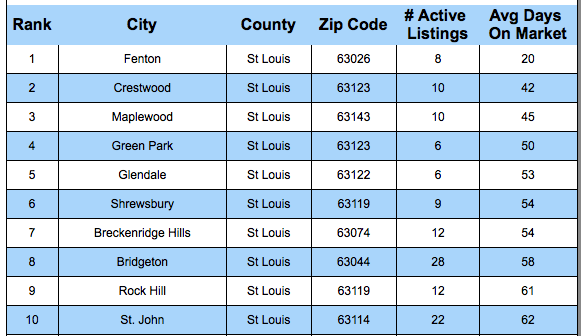 One thing to keep in mind, contrary to what you may think, the city of Fenton is not actually that large of real estate market as many of the homes in the Fenton area, and zip code, are actually in unincorporated St Louis County. Having said, that, from the chart and table below, we can see that the Fenton market has been a fast selling market for a while now. The overall median time it took homes to sell, during the past two years, was just 12 days and active listings on the market currently have only been on the market for a median of 18 days.